Is it just us, or is sippin’ Bourbon on the patio one of the best parts of summer? We’ve crafted the perfect cocktail for you to invite some friends and family over to do just that. Check out our Summer Citrus recipe below, then handcraft the moment by mixing one for yourself! Cheers. 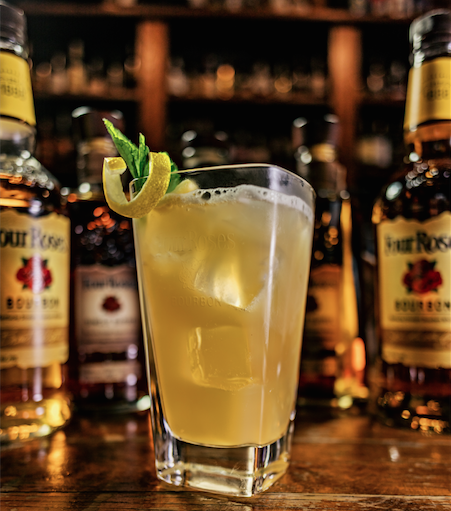 Add Bourbon, lemon juice, grapefruit juice, clover simple syrup and Angostura® Bitters into cocktail shaker and shake! Strain into a chilled cocktail glass. Garnish with lemon twist and fresh mint. Enjoy!